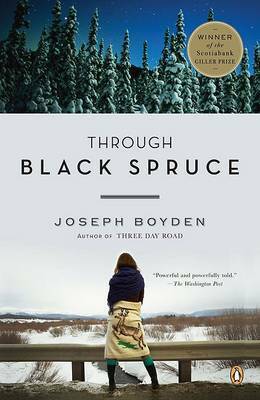 A haunting novel of love, identity, and loss-from the internationally acclaimed author of Three Day Road Beautifully written and startlingly original, Through Black Spruce takes the considerable talents of Canadian novelist Joseph Boyden to new and exciting heights. This is the story of two immensely compelling characters: Will Bird, a legendary Cree bush pilot who lies comatose in a remote Ontario hospital; and Annie Bird, Will's niece, a beautiful loner and trapper who has come to sit beside her uncle's bed. Broken in different ways, the two take silent communion in their unspoken kinship, revealing a story rife with heartbreak, fierce love, ancient feuds, mysterious disappearances, murders, and the bonds that hold a family, and a people, together. From the rugged Canadian wilderness to the drug-fueled glamour of the Manhattan club scene, this is thrilling, atmospheric storytelling at its finest. Joseph Boyden is a Canadian of Irish, Scottish, and Metis roots. He divides his time between northern Ontario and Louisiana, where he teaches writing at the University of New Orleans.